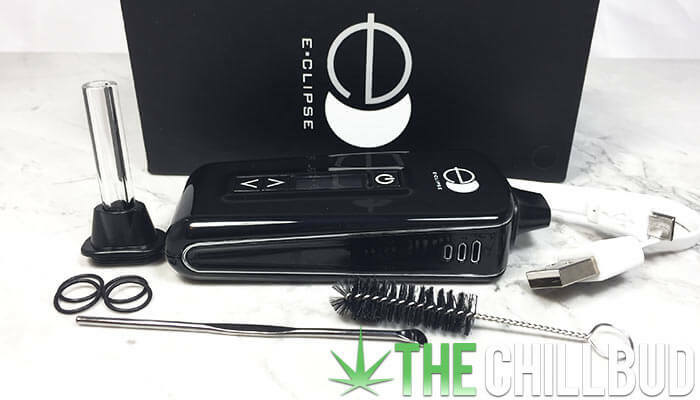 Our friends at NY Vape Shop were kind enough to send over a vape that is making some waves in the vaporizer community; the E-Clipse herbal vaporizer. It’s an extremely affordable and simple to use vaporizer that fits in the palm of your hand. 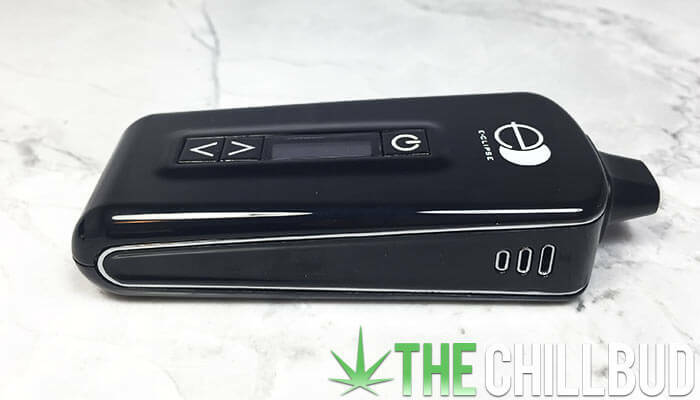 The E-Clipse costs $139.99, making it one of the more affordable full-function portable herbal vaporizers. This vape has a very straight forward design, with 3 buttons (power, up and down) and an oven chamber directly under the mouthpiece. Because of where the oven is situated, the vapor path is very short and the vapor itself can be a bit hot when using the flat mouthpiece. Before I dive into the full review and point out all of the things that I liked about the E-Clipse vaporizer, I’d like to talk about one thing I seriously disliked. During the first few (first especially) uses of the E-Clipse there was a distinct and potent plastic aroma / flavor. The mouthpiece is made of plastic and sits directly on top of the ceramic oven which isn’t ideal. After a few uses the plastic aroma went away, but it’s still concerning to me. One of the most surprising things about the E-Clipse is how quickly it heats up. Reaching your desired temperature in ~20 seconds, it’s one of the fastest heating vapes we’ve seen in this price range. Not only does the E-Clipse heat up in seconds, it has precise temperature control between 300° F – 435° F.
Truly a portable vaporizer, the E-Clipse is only about 4” tall and 1.5” wide so it easily fits in the palm of your hand and can be carried around in a pocket or purse. Not only is it a very compact vape, it feels like it’s built very solid. There’s a good weight to it, certainly not heavy, but weighty enough to feel like a quality piece of tech that won’t fall apart during intense jostling. Vapor quality was quite decent (after the first few sessions), but I had to dial the temperature up about 10° to 15° from where I normally set my vape temperature in order to get visible vapor clouds. This isn’t really an issue, it just means that you’ll need to dial it in a little bit if you’re used to using a different vaporizer. I was a bit shocked to see how well the E-Clipse distributed heat throughout the entirety of the oven. There was no need to mix the herb at the halfway point in order to vaporize everything evenly. 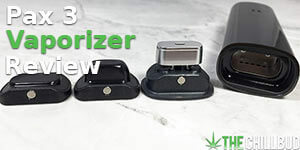 At the end of the session all the herb was very evenly toasted which helps eliminate the mid-sesh maintenance many of us are used to with most conduction vaporizers. Extremely fast heat up time with precise temperature control. Capable of delivering robust vapor pulls. Feels well built for the most part, minus a couple of design flaws surrounding the mouthpiece / oven area. Great value for all of the features offered. The fact that the plastic mouthpiece heats up and emits an aroma / flavor is rather concerning. There’s a small ridge surrounding the oven where herb gets caught, a minor nuisance when loading the vape. I was pretty impressed with most aspects of the E-Clipse considering where it’s priced. A couple of small changes to the mouthpiece area would make this a top contender for sub $150 vaporizers. Overall a great introductory vaporizer.